Genuine Yamaha Washer for 6mm tension rods, including Yamaha SFZ/MTS Marching Drums (9214/9213/9114) and Yamaha 8200 Series Marching Bass Drums. Sold each. Genuine Yamaha Tension Rod for Marching Snare Drum. 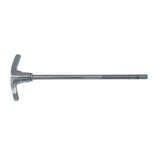 The Gibraltar SC-BDKR/S Bass Drum Key Rod are 4 3/16" (106mm). 7/32" thread key style. 4 Pack. 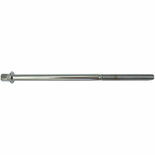 The Gibraltar SC-4J Tensions Rods in 1 3/8" length (35mm) and are packaged in a quantity of 6 per pack. This rod fits many piccolo snare drums and small toms. 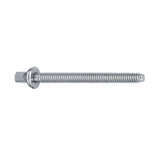 The Gibraltar SC-4E Tensions Rods in 2 1/4" length (58mm) and are packaged in a quantity of 6 per pack. 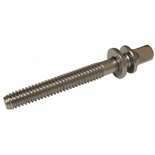 This rod fits many floor toms and bass drums. 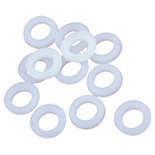 The Gibraltar SC-12 Nylon Tension Rod Washers are packaged in quantities of 12 per pack and fit most brand tension rods. 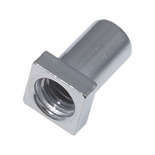 The Gibraltar SC-LN 7/32" Small Swivel Nuts fit most tom and snare tension rods. 12 Pack. 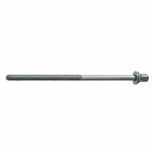 The Pearl T-067 Tension Rod with metal washer will fit all Championship Series Marching Bass Drums sized 30″ through 32″ and are sold in packs of 2. 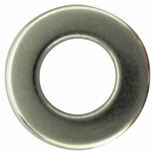 The Gibraltar SC-SSW ABS Tension Rod Washers are packaged in quantities of 10 per pack and fit most brand tension rods. 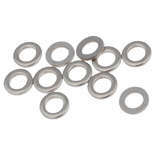 The Gibraltar SC-11 Metal Tension Rod Washers are packaged in quantities of 12 per pack and fit most brand tension rods. 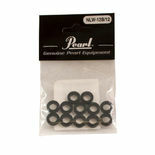 This is the Pearl Nylon Washers for tension rods or T-Rods. 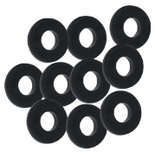 These tough black nylon washers will work on most tension rods or T-Rods. Sold on a 12 Pack. 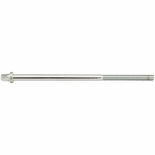 The Gibraltar SC-BDTR/L Bass Drum Key Rod are 4 3/16" (106mm) long x 6mm diameter. 6mm T-style. 4 Pack. 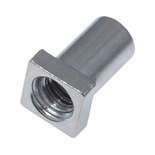 The Gibraltar SC-LG 6MM Large Swivel Nuts fit most large bass drum tension rods. 12 Pack. 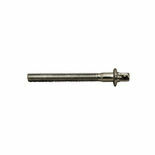 Bass Drum Key Rod 6mm 4-3/8" (112mm) long x 6mm diameter. 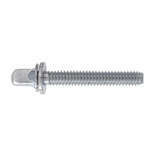 6mm thread Key style.